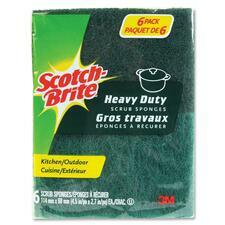 Combining the best features of a dish cloth with cleaning power that both cleans and wipes. Machine washable and dryer safe. Quickly clean surfaces without leaving marks or scratches. Sanitize in the dishwasher and re-use. Blue.6/pkg. Sometimes the mess is just too tough for a regular scrub sponge. Easily removes tough, baked-on messes. 6/pkg. 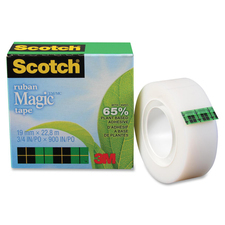 Tape is clear when applied, does not yellow and will not dry out. Adhesive is 65% plant based. 3/4" (19 mm x 22.8 m).2/pkg. 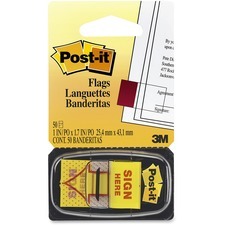 Keep Post-it® notes within reach. 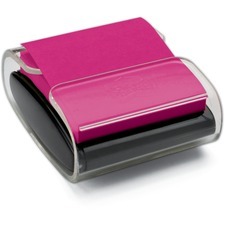 Convenient one-handed dispensing puts your notes at your fingertips. 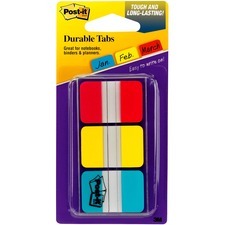 Holds 3" x 3" notes.